What with it being summer and ice cream weather, I was wondering what to do with the scraps of ice cream patterned fabric that I had leftover from a previous cushion. I started to cut out the individual ice creams and then tried spreading them out across different fabrics. It didn’t quite work, so I cut some fabric out to back them and started trying to group them together. Posted in Cushions and tagged buttons, craft, cushions, customise, fabric, handmade, ice cream, ribbons, sewing. Bookmark the permalink. 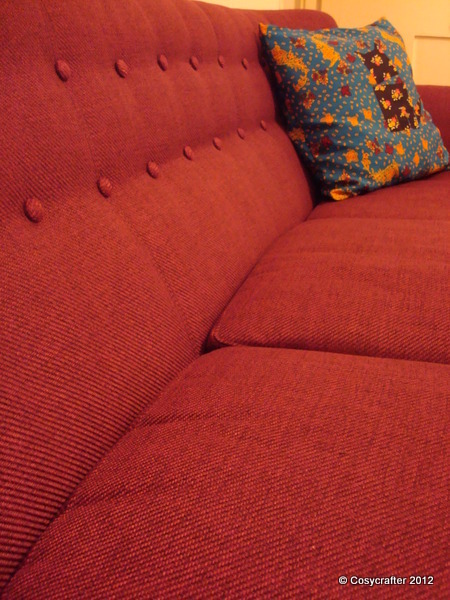 Another short post to join my other cushion posts, this time with a cat pattern on the front, instead of the usual ribbons, buttons and beads. Posted in Cushions and tagged cat, craft, cushions, customise, fabric, handmade, sewing. Bookmark the permalink. I have a fear of proper DIY. I can faff around with needles and fabric and small fiddly bits, but when it comes to larger pieces, I’m not too sure of myself. So today is about a craft project undertaken by my husband, Mr Cosycrafter. Obviously, I made all the superficial design decisions, but when it came to the hand-cramping sanding and dull repainting, it was all him. Posted in Home and tagged chest of drawers, craft, customise, d.i.y, wallpaper. Bookmark the permalink. It’s always a special time when a new life comes into the world. 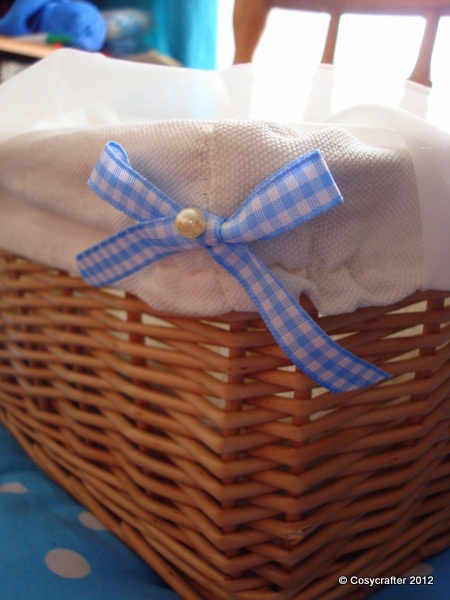 I think a nice gift to make up is a little hamper with things for the baby (and the parents too if you wish). I got my basket from Wilkinsons. 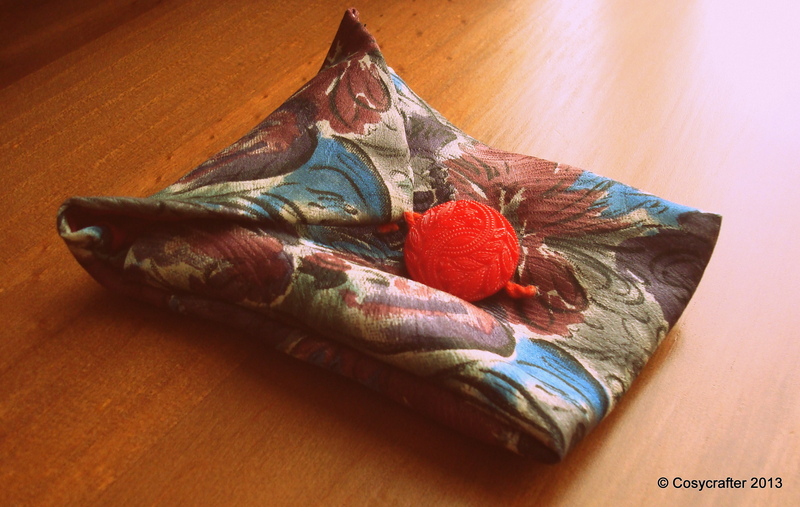 It already had the fabric on the inside, so I did a quick bit of customising by sewing a ribbon bow and pearl bead to each corner. Posted in Gifts and tagged baby, customise, gifts, hamper. Bookmark the permalink.